It used to be that dentists always relied on amalgam (a combination of metals) to fill in cavities. However, because amalgam is dark, it clashes with the natural color of teeth. Today, a more attractive option is available; we offer tooth-colored fillings that have the potential to restore your oral health without compromising the beauty of your smile. Would you like to learn more about this remarkable treatment from your cosmetic dentist in Enfield? What Are Tooth-Colored Fillings in Enfield? Tooth-colored fillings are made of a composite resin that can blend in seamlessly with the natural color of your smile. No one will ever have to know that you had a cavity — unless you decide to brag about how beautiful your new restoration looks. Another cosmetic advantage that they offer is they will not discolor the part of the tooth around the filling; that’s a problem that sometimes occurs with amalgam. We use a shade guide to make sure the filling matches the color of your teeth as closely as possible. We prepare the tooth. This may involve cleaning it and using a very mild acid solution to etch the area where we’re working. We apply the composite resin and use a curing light to harden it. After your procedure, your tooth may be a little more sensitive than usual. However, this should wear off within a couple of days. Then you go can about enjoying your repaired smile! Do Tooth-Colored Fillings Have Non-Cosmetic Advantages? The benefits of tooth-colored fillings from your dentist in Enfield go beyond mere appearance. 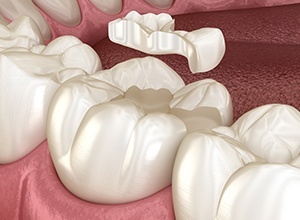 The composite resin used in our tooth-colored fillings contains no mercury. This is in contrast to amalgam fillings, which may be up to 50 percent mercury, a toxic metal that has raised some significant health concerns in recent years. They usually last for at least five years. It something happens to one of your fillings, we may be able to repair it. They often require less drilling than amalgam fillings. Are Tooth-Colored Fillings Just for New Cavities? 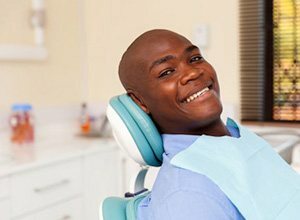 If you’ve had cavities filled in the past with amalgam and are tired of seeing those dark spots in your smile, we have good news! You can always come in for a consultation, and we’ll talk about replacing those unattractive amalgam fillings with something a little more subtle. On the other hand, maybe you’re not quite ready to get your metal fillings replaced. That’s okay! Just be sure to come in for regular checkups so that when the amalgam restorations start to fail, we can replace them with composite resin fillings before the decay around the cavity worsens. Tooth-colored fillings are a fantastic option for anyone who wants to enjoy a healthy, metal-free smile!